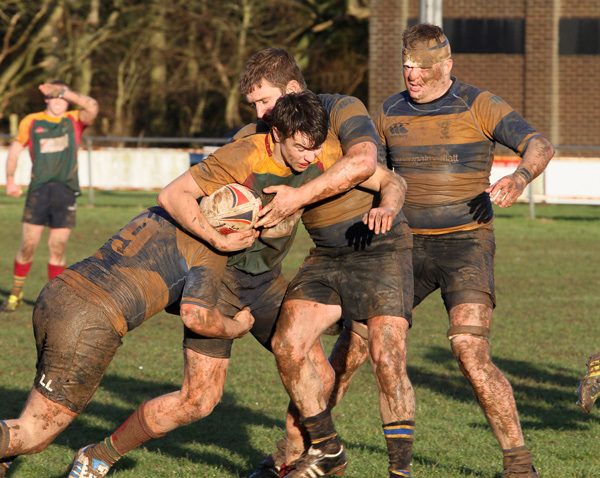 The Great British weather did its best to throw all seasonal conditions at the players during the course of Saturday afternoon at Norwich Rugby Football Club. 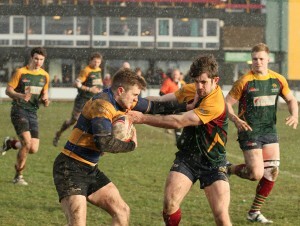 The game sponsored by Anglian Home Improvements was played through hail, snow, heavy rain and then spells of sunshine. The weather did not help the pitch conditions, which started off good and ended up being rather cut up by the end of the game. Upminster RFC is one point behind Norwich in the league, so this was going to be a tough game for both teams, never mind the weather conditions. Norwich put on the pressure in the first 20 minutes of the game, but was unable to turn this into points. Upminster began to gain more of the ball, however were unable to break the Norwich defence with the first half score remaining 0 – 0. 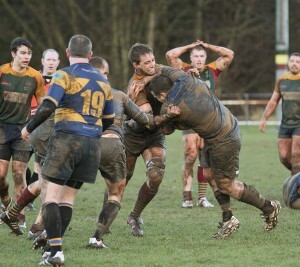 Nick Austin is momentarily held up by the mud covered opposition. 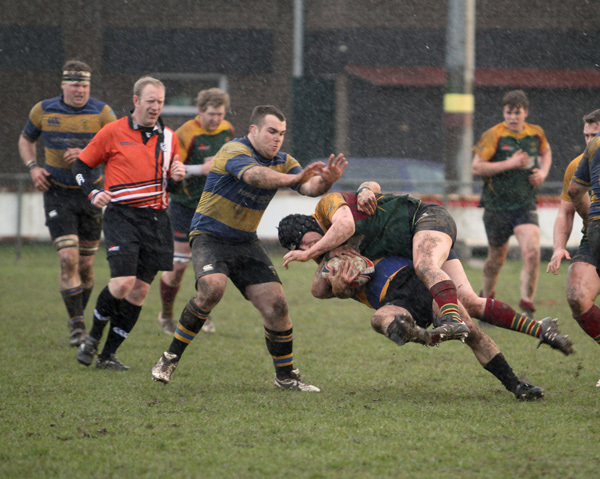 During the second half, the teams battled against the changeable weather conditions which proved difficult, as the cold and wet made handling and holding the ball tricky. 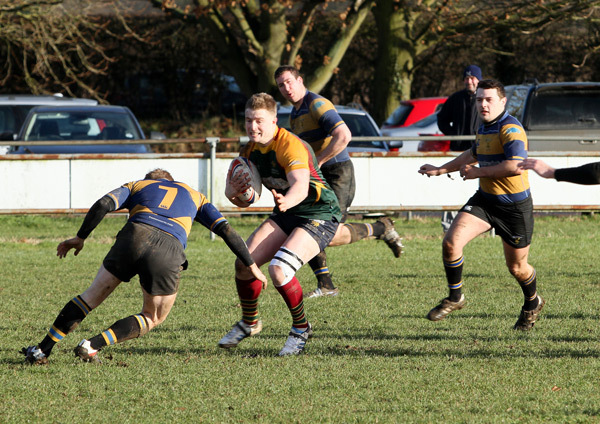 The teams were determined throughout, but Norwich continued to have most of the territory during the second half, holding on to their lead until the final whistle. Final score Norwich RFC 7 – Upminster 3. Congratulations to Norwich! Claire Middleton has 177 articles. Is there a subject you would like us to write about?